Well I finally got photos but they’re still not pretty I’m afraid. As this is a muslin, albeit a very wearable muslin, I made a shorter version. I used the upper and middle pieces and just left off the lower piece. Sorry, I told you the pics aren’t good. I have in fact worn this out twice but always at night and hence no pics. However, on both occasions I was really comfy wearing it and received many compliments. 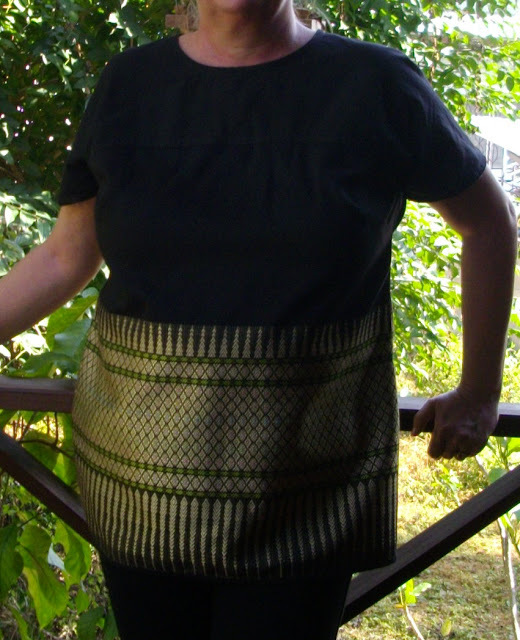 I used an old (maybe 15 years old) wrap around skirt and a remnant of black cotton. Of course black is notoriously difficult to photograph, but here are some detail shots nonetheless. Flat felled seams – everywhere. 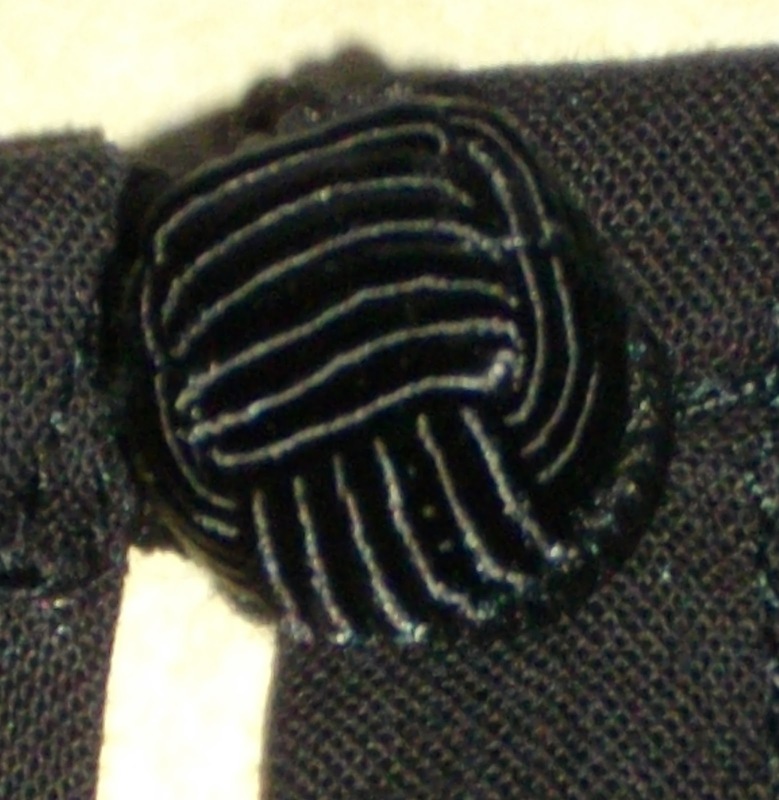 I figure if you’re going to have topstitching, you may as well…. Since this has some Asian influence in the Thai silk fabric, I decided to use a Chinese knot instead of a hook and eye. Again apologies for the crap photos. So how does it fit? What needs fixed? Well, the first problem is even deciding which pattern size to use. If I had used my bust size it would have been a size 24 and then a D cup. This would have been enormous. It would give me something like 25cm of ease! So I used my upper bust instead and made the 18 with D cup. I also graded out to a 20 on the front only, based on the listed finished garment size. This was totally unnecessary. So for the dress version, I will cut a straight 18. However, I will probably lower the neckline – it really is quite high. And I think I’m going to try my first ever forward shoulder adjustment. So how are you all going with your challenge garments? That's a really good idea, to make only the top of the dress as a muslin. The fabric mixes work nicely together, and the fastener is brilliant.